It's getting more and more difficult to ignore the value of the Xbox Game Pass service, Microsoft's subscription games offering that gives you a full library of games for a monthly fee. And January 2019 may well be its best month yet. 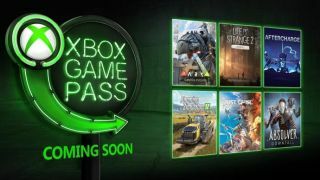 Xbox Game Pass is getting an update that will see six top titles added to the service. The headliner is undoubtedly Life is Strange 2, the narrative lead teen drama from Square Enix. An episodic release, future episodes will launch on Game Pass "soon". Hopefully "soon" translates as the same time as they are released generally, too. Elsewhere, dinosaur-packed survival game Ark: Survival Evolved joins the storage alongside action-movie simulator Just Cause 3 and...er... farming simulator, Farming Simulator 17. Rounding off this months' update are Aftercharge, an online co-op shooter, and Absolver, a martial arts -focussed action-RPG. That's a lot of game for the $9.99 / £7.99 / AU$10.95 monthly fee, and doesn't include the host of other games already on the service. Last month brand new and long awaited dungeon crawler Below joined the service, while the likes of Sea of Thieves, Forza Horizon 4 and Gears of War 4 show the quality of the catalogue. Remember, Xbox Games Pass is also available on the PC too, though it may not always have a like-for-like games list.